Paris Hilton arrives at the Christian Cowan x The Powerpuff Girls Fashion Show in Los Angeles. Sisters Paris Hilton, left, and Nicky Hilton Rothschild attend the 4th annual Diamond Ball at Cipriani Wall Street in New York. Paris Hilton poses for photographers upon arrival at the Fashion For Relief 2018 event during the 71st international film festival, Cannes, southern France. Paris Hilton, left, and Hailey Baldwin attend the world premiere of "The American Meme" at the 2018 Tribeca Film Festival in New York. Paris Hilton arrives at the Daily Front Row's Fashion Los Angeles Awards at the Beverly Hills Hotel, in Beverly Hills, California. Paris Hilton arrives onstage with her dog Diamond Baby to present the Cutest Musician's Pet award during the 2018 iHeartRadio Music Awards at The Forum in Inglewood, California. Socialite Paris Hilton attends the Fabulous Fund Fair, hosted by the Naked Heart Foundation and amfAR, at Skylight Clarkson North, in New York. Paris Hilton arrives at the Los Angeles premiere of "Demi Lovato: Simply Complicated" at the Fonda Theatre. From left, Paris Hilton, Piers Morgan, and Celia Walden are seen at 3rd Annual Sean Penn & Friends Help Haiti Home Gala at the Montage Hotel in Beverly Hills, California. Paris Hilton, Siddhivinayak, Mumbai On her first trip to India in December 2012, Paris Hilton hit not just the Page 3 circuit, but barely escaped featuring in the God channels. Paris Hilton holds a portrait of Lord Ganesha given to her at the Sidhivinayak temple during her visit to Mumbai. Paris Hilton, center, poses with children from Ashray, an orphanage, during her visit in Mumbai. American celebrity socialite Paris Hilton displays an outfit by Ukrainian designer Andre Tan, right, during Fashion Week in Kiev, Ukraine on Oct. 15th. Socialite and hotel heiress Paris Hilton visit at Paris Hilton showroom in Mumbai. 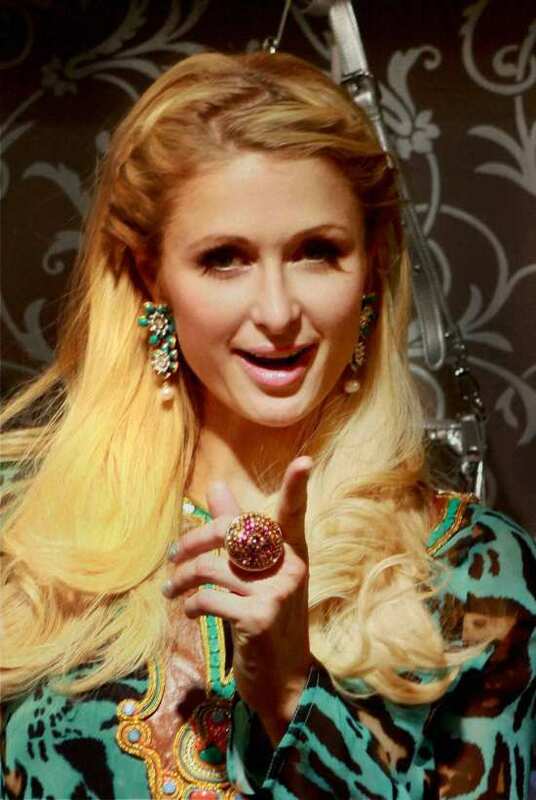 Socialite and hotel heiress Paris Hilton visit at Paris Hilton showroom in Mumbai . The wedding between Paris Hilton and actor Chris Zylka which was all set to take place on November 11 has been postponed.